I always add 1/4 or 1/2 tsp of turmeric to my smoothies but here is probably one of the easiest recipes that will allow you to sneak some turmeric into your diet. 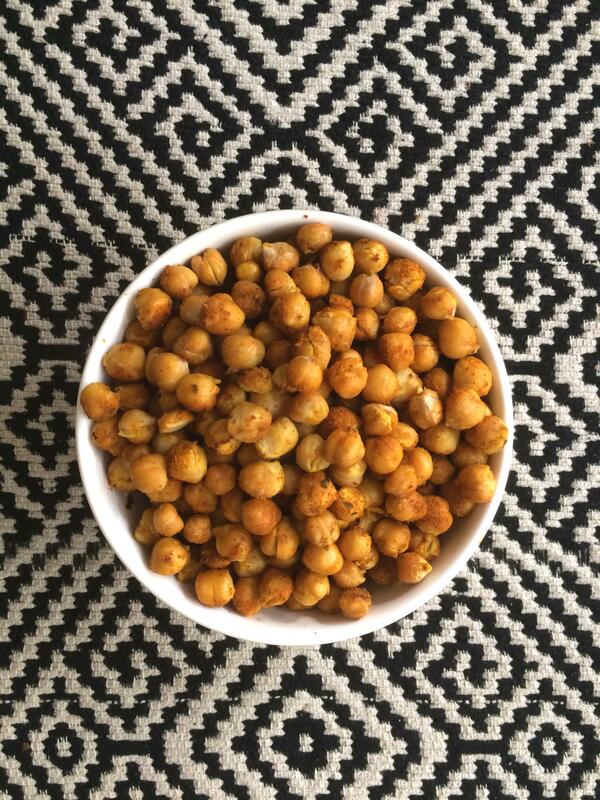 These great spicy turmeric chickpeas can be used as a snack or a perfect protein to add to your salad. Drain and rinse the can of chickpeas. Place tinfoil on a baking sheet and spray with olive or coconut oil. Spread chickpeas in an even layer over baking sheet, respray the tops of the chickpeas. Sprinkle the chickpeas with a thin layer of turmeric, garlic powder, and other spicy spice of choice. Bake for 30 minutes or until they are crispy.